Goodreads Debut Author of the Month and an Indie Next Pick! 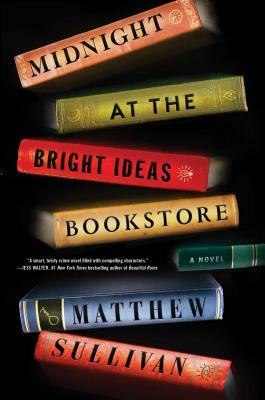 When a bookshop patron commits suicide, his favorite store clerk must unravel the puzzle he left behind in this fiendishly clever debut novel from an award-winning short story writer. Matthew Sullivan received his MFA from the University of Idaho and has been a resident writer at Yaddo, Centrum, and the Vermont Studio Center. His short stories have been awarded the Robert Olen Butler Fiction Prize and the Florida Review Editor’s Prize for Fiction and have been published in many journals, including The Chattahoochee Review, Painted Bride Quarterly, Fugue, Evansville Review, and 580-Split. In addition to working for years at Tattered Cover Bookstore in Denver and at Brookline Booksmith in Boston, he currently teaches writing, literature, and film at Big Bend Community College in the high desert of Washington State. The author of Midnight at the Bright Ideas Bookstore, he is married to a librarian and has two children.